The office tower designed by Fxcollaborative in the Fuzhou financial district on the Mianjing River provides flexible workspaces and offers a good example of energy-saving design confirming China’s growing commitment to the environment. The sixth event in “The Architects Series”, focusing on New York studio FXCollaborative, is now underway at SpazioFMGperl'Architettura, the exhibition gallery operated by the Iris Ceramica Group’s Iris ceramica and FMG Fabbrica Marmi e Graniti brands. On the basis of the established event formula, every Thursday and Friday between 4 and 7 pm visitors to the gallery and showroom at Via Bergognone 27 in Milan can watch a new episode in the series, produced, like the previous episodes, by The Plan magazine. Each “episode” consists of two videos: the first is a documentary filmed in the architectural practice revealing the architects’ way of working, showing us the place where they work and significant projects underway or recently completed, while the second is an interview with a representative of the studio conducted at SpazioFMG before an Italian audience during the inauguration of the new episode. Visitors will be able to view the episode on FXCollaborative, leading designers of ecological buildings, until February 15. Drawing on the experience of its founder, Bruce Fowle, in the design of energy-efficient buildings employing natural ventilation, FXCollaborative is considered a pioneer in the green building movement, as confirmed by important international certifications of sustainability and energy efficiency obtained by the studio’s buildings. 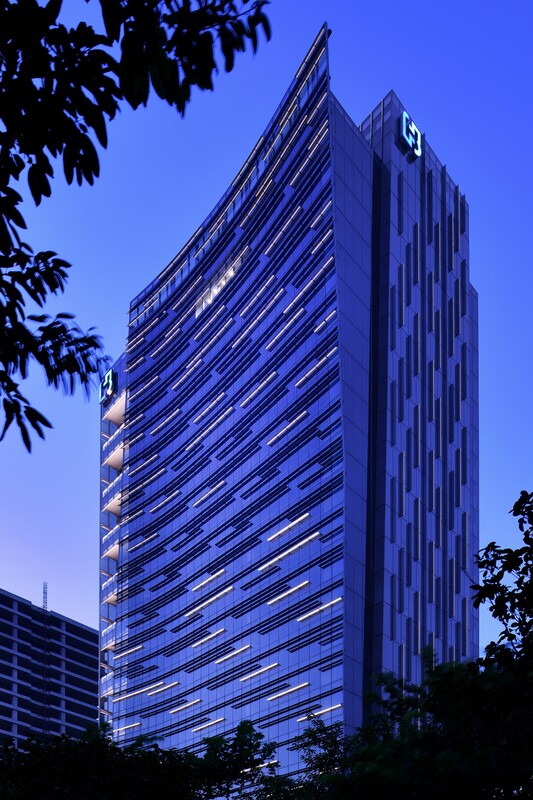 The architects of FXCollaborative have recently been concentrating primarily on passive and net zero energy buildings, such as the Fubon Fuzhou Financial Center, where site-specific construction based on attentive study of the environment and the building’s orientation in relation to the sun permits exploitation of the thermal inertia of construction systems to cover the majority of the building’s energy requirements for heating and cooling, so that the balance between energy produced and energy consumed is practically zero. 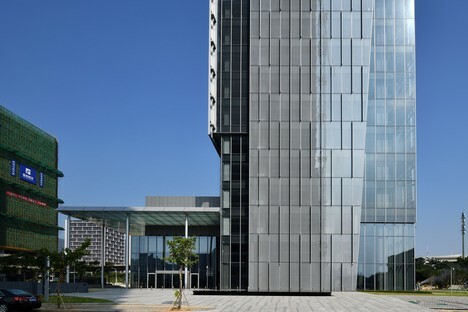 FXCollaborative’s Fubon Fuzhou Financial Center is the headquarters of an important company, an office tower completed in 2018 in Fuzhou’s Taijiang financial district, in an outstanding location with unparalleled views of the landscape right by the Minjiang River. Fuzhou is the capital of China’s Fujian province, on the left bank of the estuary of the River Min. The city is an important political, cultural and economic centre, and in 2015 the Brookings Institution ranked it tenth in the list of the world’s fastest-growing metropolitan areas. This important record compels the city to accept its responsibilities to the environment without delay, as the Chinese are demonstrating a growing awareness of environmental issues, clearly evident in FXCollaborative’s project. The 29 storey tower provides flexible workspaces and offers a good example of sustainable, energy-efficient design, earning it LEED Gold certification and making it a symbol of China’s growing commitment to the environment. The building is simple and elegant, with a curved southern wall covered with glass cladding and sunbreaks. The effects of light and shadow thus created add rhythm to the building’s façade, while an ingenious lighting system creates a wave effect at night reminiscent of the nearby river. Client: Fubon Land Development Co.